Subscribe to receive notification of updates to this site. SIR – Every living British recipient of the Nobel Prize now has a knighthood except for Brian Josephson, winner of the 1973 prize for physics. But with the Josephson junction and the Josephson effect named after him, perhaps he feels no need. Could this be because Prof. Josephson has dared to support our two great scientists Sir William Crookes OM, FRS and Sir Oliver Lodge FRS who both started from the base that surviving the death of our physical body must be read as a branch of physics - something that is natural and normal, something that happens to every person on Earth, and nothing whatsoever to do with having to believe in any supernatural absurdities invented by priests in the dark ages of ignorance? This article is censored from all large-circulation papers and magazines throughout the world because it links the subject of survival after death with the scientific discipline of subatomic physics - the study of the invisible part of the universe. The only way to prove that we all survive the death of our physical bodies is by repeatable experiments under laboratory conditions with the results published in a leading scientific publication. The experiments must consist of recently deceased internationally famous people being physically reunited with their friends and relatives who are still on Earth. All five senses must be working and the deceased people must be walking around the room speaking with the same voices they had while on Earth. Everything now rests on a contemporary materialisation medium coming forward and putting his or her trust in the hands of a qualified scientific team made up of people who follow and indeed agree with the findings of Sir William Crookes and Sir Oliver Lodge - that we all survive the death of our physical bodies, that we are dealing with natural and normal forces in the universe. Please refer to Sir Oliver Lodge’s article on this website, ’The Mode of Future Existence’. The safety of the medium must be number one priority at all costs. Scientists who start from the false base that death is the end of everything have far too much to lose from such revolutionary experiments. Alan Cleaver's report: In 1982, Alan Cleaver carried out a revolutionary scientific exercise that completely vindicated the pioneering experiments of Sir William Crookes and the Nobel Laureate Professor Charles Richet when they proved survival after death through repeatable experiments under laboratory conditions. Eddie Mair interviewed Andrew Wyon and Ron Pearson. Andrew Wyon says his friend Ron Pearson should have won the Nobel Prize in Physics. Ron isn't a physicist but he correctly predicted that universe expansion is accelerating. The Nobel Prize for Physics was won by a group of scientists who proved just that. For decades Ron has chipped away with his theories but no-one has paid any attention, even when he's been proved correct. This pamphlet suggests that misconceptions in classical mechanics are responsible for blocking progress in physics. Refinements are described which spill over into quantum theory and appear to provide answers to vexed questions. For example, it leads to alternatives to both special and general relativity which match the achievements of both. Unlike relativity, however, the new solution is fully quantum-compatible, being consistent with the concept of the quantum vacuum. Ronald Pearson will be giving an Internet lecture on Physics and Spirituality Unified to publicize his new book Physics Proves God: the weapon forged to destroy atheism. The lecture will be followed by an Internet discussion. Medical Journalist Michael Mosley presented the six-part series The Story of Science on BBC Two. The first part was broadcast in the UK on April 27, 2010. What this great scientist was more than just interested in was the subatomic phenomena that happens during experiments with a materialisation medium. I have also run into the same block from Spiritualists that Sir William hit during my experiments with a contemporary materialisation medium. I am enclosing my paper that was published by the Society for Psychical Research in October 2004 ‘A Rational Scientific Explanation For So-Called Psychic Phenomena’. This had been censored by the SPR ever since I first submitted it in 1983. I only found out that it had at last been published thanks to this enclosed email from the Nobel Laureate for Physics Professor B.D. Josephson of Cambridge University. As the Spiritualists flatly refuse to release any materialisation mediums for scientific experiments we are unable to provide the definitive proof that it is a scientific fact that we all survive the death of our physical bodies. With this proof of survival nobody will go to a Spiritualist church and grovel before their ministers of religion. Survival researcher, author, and lecturer James Webster has published a new book, which we wholeheartedly recommend. 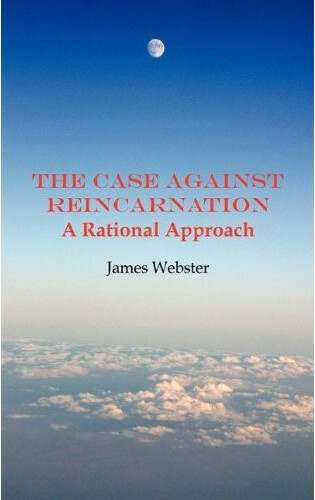 The new book from James Webster presents his case against reincarnation with fine backup evidence from a wide input - past and present - to provide the reader with a wealth of information to guide them out of the reincarnation jungle and into the light of more positive and acceptable understanding. 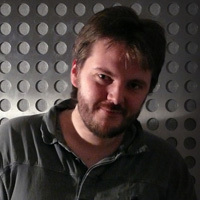 In July 2007, Michael Roll was interviewed by Lou Bondi, host of one of the most popular current affairs and discussion programmes in Malta. This interview was broadcast on Maltese TV in February 2009. The broadcast was in English, and also included interviews with Victor and Wendy Zammit. A theologian was interviewed, but declined to speak in English, preferring to speak in Maltese. An English couple loses their 9 year old son to cancer. After his death, they ‘meet’ him over three hundred times. According to this man, there is nothing extraordinary or supernatural about this. What is extraordinary is that he believes scientists will soon prove how and why this happens. Forget God and atheism. This is the Third Way beyond death. Follow me on this journey into Michael Roll’s world of the undead. Quite simply, this man believes that when we die our next stop is neither heaven nor hell. In this sense, he is not a “religionist”, to use his term. But for him neither does death signal the end of your existence. On the contrary, it is only the beginning of your journey for eternity. For Michael Roll, it works like this. When the brain as an organ dies (along with the physical body) the mind migrates to another plane of existence which is invisible to most human beings on earth. With the onset of death your mind switches to another ‘frequency’ where you continue to live for eternity. Along with every other human being who has died since the beginning of time. These living dead “are all around us, unseen and unsensed, operating on a different frequency”. As I was interviewing him, he claims, there were probably a lot of them around us. Why? Because they would be “terribly interested” in what we were doing. Lou Bondi's interview with Michael Roll, Victor Zammit, and Wendy Zammit. (Windows Media stream) - Broadcast in February 2009. A theologian is also interviewed, but declined to speak in English. His interview is conducted in Maltese. Bondiplus - Thinking allowed - Running in its 7th year, Bondiplus continues to do what it does best: investigative journalism and cutting edge analysis of current affairs. Nick Margerrison of Kerrang! 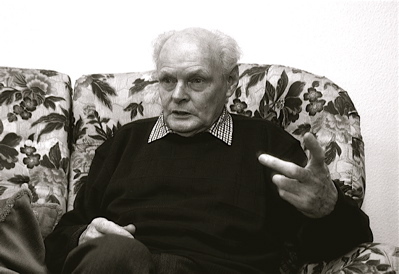 Radio's The Night Before With Nick Margerrison show recently recorded a telephone interview with Michael Roll about the proof of life after death. The interview will be broadcast on the show on Wednesday, August 20, 2008. We have had "evidence" of survival for hundreds of years. However, only a materialisation medium is able to provide the proof that we all survive the death of our physical bodies. This proof has existed since 1874 when Sir William Crookes published the results of his experiments with the materialisation medium Florence Cook in The Quarterly Journal of Science. We now have the mathematics that Crookes lacked in 1874 giving a cosmological location for the "spiritual" part of the universe. Listen Again: You can listen to every Night Before with Nick Margerrison show for a week after it is broadcast. Podcast: The Night Before with Nick Margerrison podcast contains the best bits of the weeks shows. It is updated EVERY WEEK after the show is broadcast. Is the Big Bang Theory of the creation of the universe wrong? Should Einstein's theory of general relativity be questioned? Solving the problem of the cosmological constant. Ron Pearson, mechanical engineer, inventor of a "gas wave turbine" and author of "Creation Solved" sets out a "Big Breed" theory that shows up flaws in the Big Bang Theory. It is widely accepted now that physicists and cosmologists have come to a standstill with their research into how the Universe was created. This new theory fits all observations made so far, has none of the flaws of the previous theories, and also provides for several new potential lines of research that can be followed. Some of these give great hope to mankind as they indicate a way at solving the energy crisis. On January 29, Jeff Rense will be speaking to Michael Roll. This will be Michael's 12th broadcast with Jeff Rense. Michael and Jeff will be joined by musician Steve Clarke. "He's a profoundly religious figure. Religion brought him into politics in the first place, not reading Labour Party history. "Catholicism has been the religion of his wife - Cherie Blair has been incredibly important to him throughout his political life, encouraging him to go into politics and adopting many of his positions, so I think it was the obvious part of the Christian faith for him to come into." The news of his conversion comes as a document showed Mr Blair had raised "concern" over ongoing business negotiations in a letter about an investigation into a Saudi arms deal. Days later the probe was dropped, and Mr Blair said the decision to stop it was taken because of national security, and was not linked to commercial interests. (...) after becoming Prime Minister in 1997, he was told to stop taking communion in public by the late Cardinal Hume, then leader of Catholics in England and Wales. Baptist minister and 2008 presidential candidate Mike Huckabee (...) delivered a sermon of more than 20 minutes on how to be part of "God's Army" in the middle school cafeteria where the congregation meets. "When we become believers, it's as if we have signed up to be part of God's Army, to be soldiers for Christ," Huckabee told the enthusiastic audience. "When you give yourself to Christ, some relationships have to go," he said. "It's no longer your life; you've signed it over." Likening service to God to service in the military, Huckabee said "there is suffering in the conditioning for battle" and "you obey the orders." General Boykin has become infamous for making public appearances, in full military uniform, during which he declares that America's wars in Iraq and Afghanistan are part of a Christian Holy Crusade against Islam, a religion that Boykin suggests is aligned with Satan. After it became known that General Boykin was making such declarations, George W. Bush stood behind him, defending Boykin's place at the center of what Bush himself has called "a Crusade". Bush and Boykin's description of the wars in Iraq and Afghanistan as part of a "Crusade" is telling to those who are familiar with medieval history - the Crusades were wars waged on behalf of Christianity against Islam. It is significant that Bush's "War on Terror" is only against Islamic terrorist groups. Christian terrorists have been spared Bush's wrath. Now, here's where that categorical morality gets really twisted: Bush and Boykin seem to believe that because their cause is a good one, whatever they do to support that cause is good. Thus, for them, killing civilians is not a wicked thing. It is a sign of moral resolve. Starting a war against a non-threatening opponent is not cruel for them. It is strength in the face of evil. Bush and Boykin can perceive American torture as a good thing because they are incapable of believing that anything they do could be wicked. After all, they believe, God is on their side. God is good, or so they teach us in Sunday school. The Rev. Billy Graham, a darling of the Evangelical Right, has never seen a U.S. war that he couldn’t bless. He once advocated that President Richard M. Nixon bomb the “dikes” in the north of Vietnam. He also criticized the Rev. Martin Luther King, Jr. for speaking out against the war. A new book, “The Prince of War: Billy Graham’s Crusade for a Wholly Christian Empire,” by Cecil Bothwell exposes the camera-mugging preacher as a serial warmonger. We now know that Bush 2, although he may have stopped hitting the bottle, never did anything in the realm of therapy about his alcoholism problem. He’s known by the experts in the field as a “dry drunk,” a potential danger to himself and to others. (2) As for Bush 2 being “born again,” the question must be asked: “Born again for what?” To kill Iraqis? Invade Iran? Bankrupt our Republic? “Brother” Elliott Nesch, an Evangelical and Peace advocate, believes that pro-War Christians “should repent.” (3) I agree with him. The bottom line is clerics, like Rev. Graham, dominate today much of the Religious Right in America. Bothwell’s tome deals, however, with a lot more relevant issues than just the preacher’s disgusting war addiction. It’s an insightful book that I am highly recommending. It’s well documented, too, with 274 footnotes. Finally, I wrote last year that “Rev. Graham wasn’t a Phil Berrigan.” The latter, an ex-priest, was a true apostle of peace, who spent 11 of his 79 years behind bars in the cause of justice. Unlike Rev. Graham, who skipped out of WWII, Berrigan was involved in the Normandy invasion and the “Battle of the Bulge” as a member of the U.S. Army. (4) I’m convinced that unless the Christian community in this country, Protestant and Catholic alike, opens its eyes to what Rev. Graham and his Establishment-serving ilk have been doing “in Christ’s name,” this nation is headed for a fall that will make the collapse of Rome look like a Sunday picnic. US President George W. Bush promised Israel's opposition leader Binyamin Netanyahu that the United States will join the Jewish state in a nuclear strike against Iran, Israel Radio reported today. Former Prime Minister Netanyahu, opposition Likud party's hardline chairman who opposes the US-backed Annapolis peace process, reiterated to President Bush his stance, that a pre-emptive nuclear strike against Iran's nuclear installations was the only way to stop the Islamic nation's nuclear weapons ambitions. (...) it has raised a very old and very thorny question over the role of religion in politics. Supporters, such as MP Steven Pound, have pointed out the prime minister is no longer facing election and was simply telling the truth about his personal beliefs. The other side of that coin is the suggestion from others that the prime minister did not "do God" previously because he feared it might damage him in the polls. Mr Blair's faith has never been a secret, indeed there have long been suggestions that he may have pursued a career in the church as easily as in politics. And his passion for ending poverty in Africa is regularly seen as an example of his faith at work. But the British people have long appeared cautious, if not downright suspicious, of politicians who claim to be motivated by faith. Clearly many will insist this is nobody's business but the prime minister's and that there are many positives for a leader who has a moral code. But it is surprising that Mr Blair has chosen to raise the issue at this point in his prime ministerial career. Prof. Gary Schwartz - Getting too Close to the Truth? Geraldo at Large on Saturday, October 6, 2007 made claims against Dr Gary Schwartz concerning his ethics regarding fund raising for afterlife research. Dr Schwartz has been advised to sue. The greatest question affecting each and every human being is the question of death and dying. Do we simply cease to exist or do we pass quite naturally into the next world? Astounding personal encounters with supposedly dead relatives coupled with new scientific evidence based on quantum physics - the study of the invisible part of the universe - suggests that WE ALL SURVIVE death. This scientist's papers linking survival after death with subatomic physics have been peer-refereed and published by physicists in Russia and the USA. These parents have been physically reunited with their "dead" son, Russell, in several hundred repeatable experiments. Tom tells the story of the incredible mediumship of his mother, Minnie Harrison, who was one of the greatest materialisation mediums ever to make contact with people in the etheric universe. How did the universe begin and why is it so huge? Why are there countless billions of galaxies? Why was a single one apparently not enough? What really is matter and what really are the four forces of nature? What is this mysterious Dark Energy? How does Dark Energy cause an ever-accelerating expansion of the universe? Does life fit into the picture as an essential driving force? Can a physical theory support the evidence for the survival of death? A paradigm-shifting physics developed from over 20 years of research provides answers to all these questions and many more by what we now call the BIG BREED theory. This is described in a new book: CREATION SOLVED? The solutions described are simple to imagine and understand, even though mathematically based. The answers arose as spin-off from a successful attempt to solve two major problems in physics. The solutions are unique, since no others, worldwide, have yet appeared. These solutions were first published in 1991 and 1994 by the Russian Academy of Science, followed by one in 1997 in the peer-reviewed scientific journal Frontier Perspectives. They have subsequently been published in other scientific journals. Strangely cosmologists still search for solutions. Why again? The Big Bang theory of creation makes three hopelessly wrong predictions, by which it is totally falsified. In 1987 I found logical errors were responsible. These provided the trigger leading to the search for a viable alternative solution. Difficulties increased when it was also found that Einstein's theories of relativity could not be fitted into any theory dependent on the existence of any background medium - like the old ether or the modern "Dark Energy". So before the creation problem could be addressed, an alternative to relativity had to be derived. The result matched all the data equally well. However, this ECM theory is free from the internal contradiction and incompatibility with quantum theory from which relativity suffers. These constitute the two main problems whose solutions are described in the book. The end result shows Dark Energy to have a self-organising structure similar to the neural networks of our brains. Chaos itself produces the organisation until a conscious intelligence evolves. This then creates the universe using waves as numbers. In this way the weird and unreal nature of the quantum world is explained. Across all scientific disciplines the survival of consciousness after death of the body has been and is still being denied. All the overwhelming evidence showing this attitude is wrong is ridiculed and discredited. The basic reason is that the disciplines of physics and cosmology are unable to fit such matters into their theories. However, physicists at their Solvay conference in 2005 admitted they had run up against the buffers. They require a new lead to kick-start the paradigm-shift that has been overdue for so long. Until this happens the obscurants like Wiseman and French will continue to discredit the evidence for survival because establishment physicists see it as a threat. The BIG BREED theory provides answers to the problems that have thrown physics onto false tracks and shows that the obscurants are wrong. Thousands of books describe what should be convincing evidence, yet most people remain in a state of total disbelief. Some try hard to accept religious teaching about the existence of soul, but still remain unconvinced. The main reason is the established attitude of scientists like Richard Dawkins. Like most other scientists he thinks scientific advance has discredited the possibility. If you think CREATION SOLVED? could help trigger the transformation of attitudes, then you could help by passing on this information to anyone you know, especially to engineers, cosmologists and physicists. The official Richard Dawkins website - "a clear-thinking oasis"
Dr. Susan Blackmore, billed as a former parapsychologist, gave the impression that all research into out-of-body experiences can now cease, it's all over, the definitive experiment has now taken place, proving that there is no question of a separate mind and brain, that we can forget all about surviving the death of our physical bodies, the whole thing is mere brain function. A reporter was fitted with a virtual reality device on his head with a camera pointed at his back. The reporter said that he got the impression that he was out of his body and looking at himself from behind. The staggering thing was that no real expert on out-of-body experiences was allowed to balance this outrageous propaganda. The summing up at the end left people with the impression that this is it, the experts have spoken. Dr. Susan Blackmore has now left the building because she is no longer interested in the subject. At least a balance is allowed whenever the subject of religion is discussed. The priests present their case, and now at last, the atheists, lead by Professor Richard Dawkins, present the case against religion. However, nothing like this happens on mainstream media and educational outlets whenever life after death crops up. 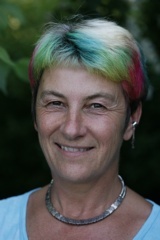 The public only has access to one scientific expert opinion - that the mind dies with the brain - as presented by Dr. Susan Blackmore, together with professors Wiseman and French. Why was there no balance allowed on this BBC news item, your expert opinion regarding out of body experiences? This of course is a rhetorical question because the scientific work that you and Dr. Peter Fenwick are doing is much too close to the truth for comfort. If the continuation of consciousness and the mind at a time when the clinical criteria of death have been met and the brain has ceased functioning can be proven through large scale, reproducible scientific studies, then this will have huge implications for society. It would indicate that the mind/consciousness may be a scientific entity, which is as of yet undiscovered, but which is not produced by the brain and is hence a separate entity from it. Conceptually this may be rather similar to the discovery of electromagnetic phenomenon in the 19th century or Quantum processes which could not have been reduced down to the science of their time, however they do exist and were eventually discovered many years after they were first proposed. Not only do we now know that they exist but we currently use them in our daily lives for example when we watch television, or use the microwave oven. It may be that in the same manner, we cannot reduce mind/consciousness down to chemical processes occurring in the brain. If proven it would also mean that the age-old philosophical concept of the 'soul' may be the same as the more modern concepts of mind/consciousness and it is this that appears to remain after death. A First-Hand Account of Materialisation Mediumship - Michael Roll describes an experiment he attended with the materialisation medium Rita Goold. This account was written in 1983, but was not accepted for publication until 1992. Recommended: Esther Kaplan: "With God on Their Side"